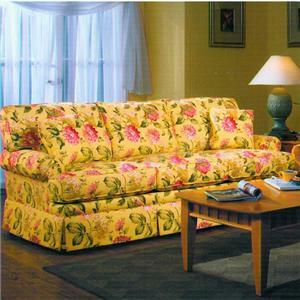 Outfit your home living room with this traditionally designed kick skirt sofa. 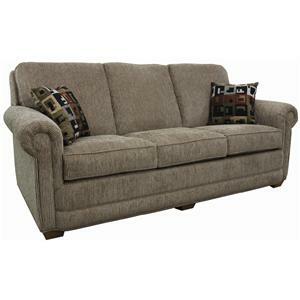 The sofa features low rolled arms, button tufted seat backs and body welts. Seat cushions feature high density foam padding and a Comfort Coil spring mechanism. Select from multiple fabrics for an upholstery type that suits your individual taste. 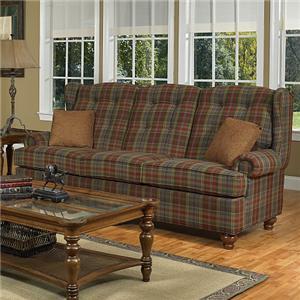 The 9800 Traditional Kick Skirt Sofa with Button Tufts by Lancer at Town and Country Furniture in the Hamburg, Buffalo, Lackawanna, Eden, NY area. Product availability may vary. Contact us for the most current availability on this product.